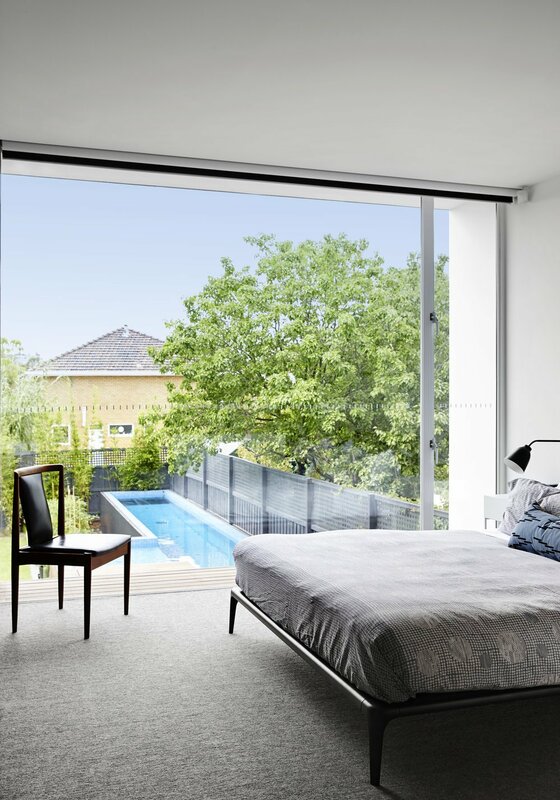 The openness to the outside and environment-friendly approach of this project, make it one of our favorite Down Under. Can you tell us a bit about the story of this house and its owners? The owners came to us with a house they had just bought, that was falling down. They asked for a new house for their family (of three) that gave them “just the right amount of space”; open, full of light, and with strong connections to the outside. What was your approach to the project? 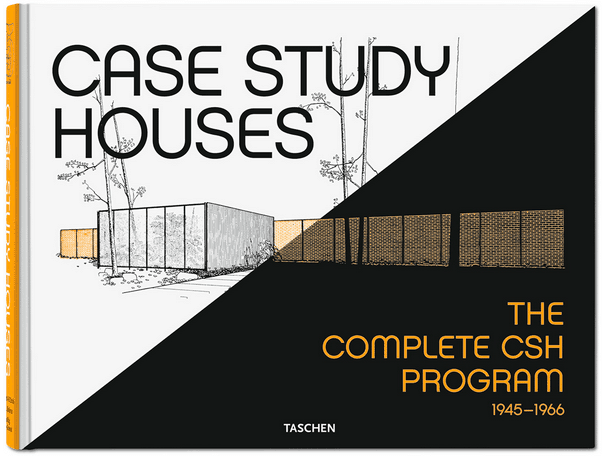 We designed the house so it opened out at both ends. 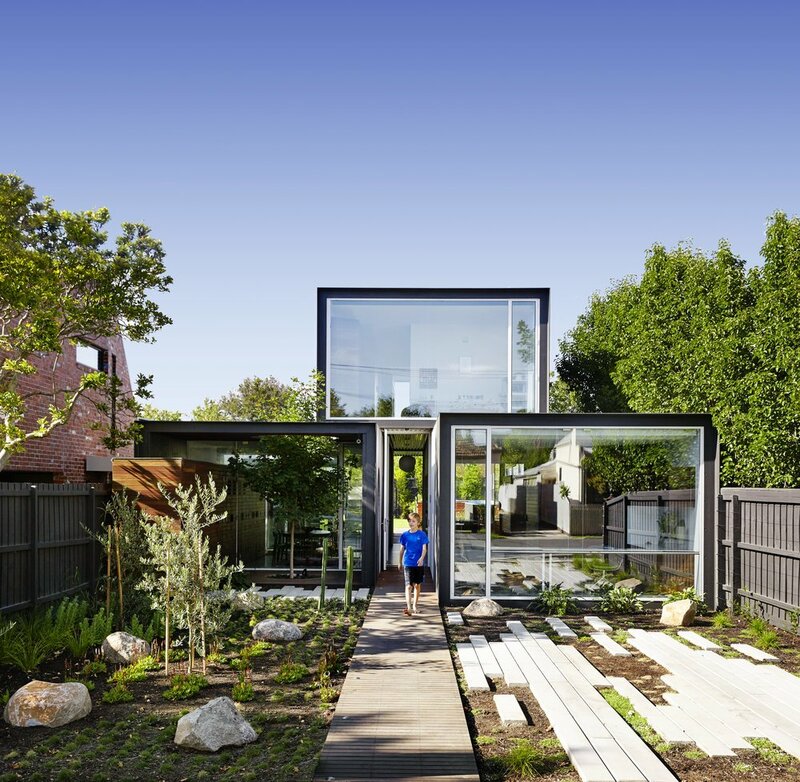 The block was long but fairly narrow so we wanted to make the house as wide as possible. 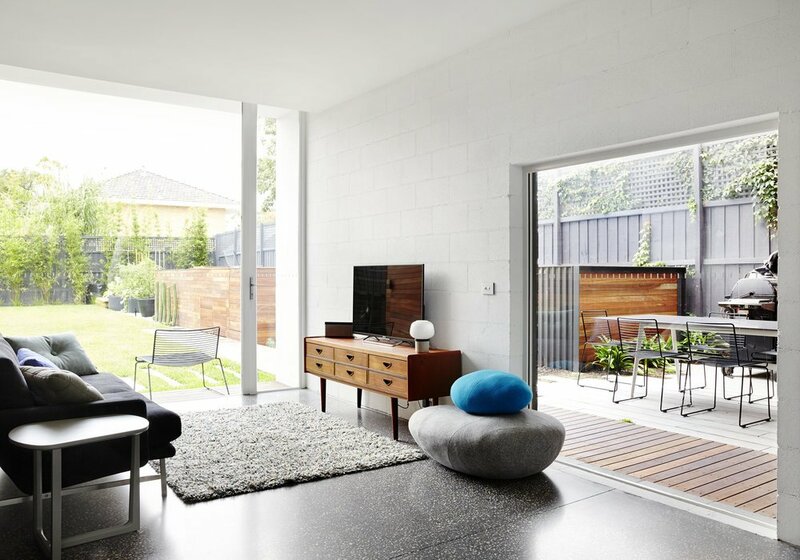 By creating large openings and generous connections to the front and rear gardens we were able to made the most of the space and light. You paid particular attention to the square footage and sustainability. Why were these elements particular important to you? Sustainability is at the core of all our projects. Large homes, and their associated sprawl, are highly problematic and Australia has some of the world’s largest homes. Services and infrastructure are stretched at great expense to the public, financially, environmentally and culturally. 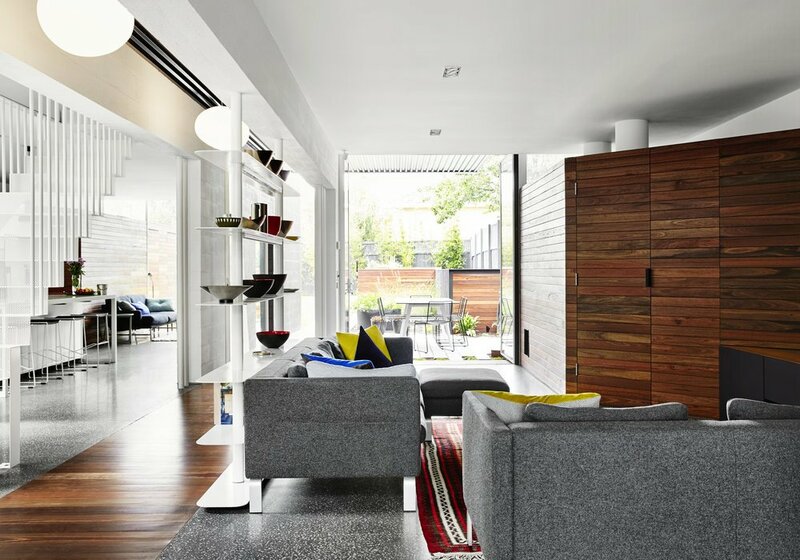 THAT house is a conscious effort to create a home that is almost half the floor area of its neighbours, without compromising function and quality. Which is your favourite feature of this house and why? The staircase. 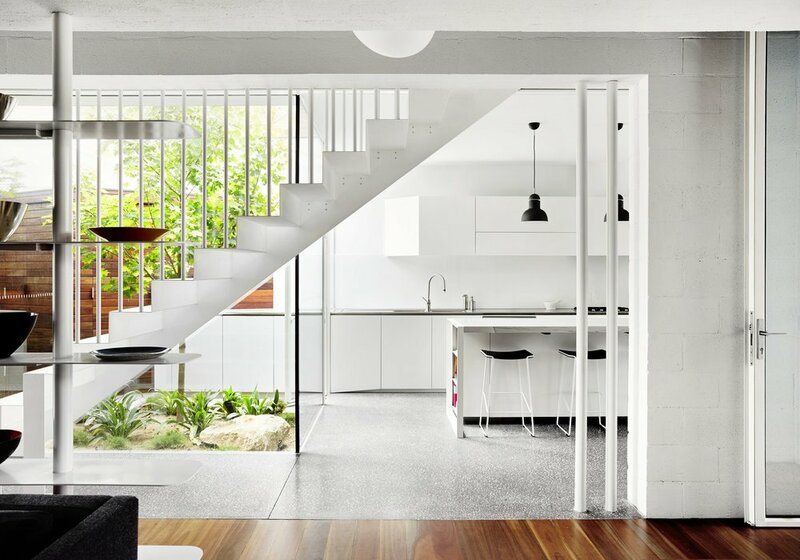 Though it’s located right in the middle of the house, the transparency of material allows the light through ensuring the staircase doesn’t block or impede the view. What materials have you used and why? 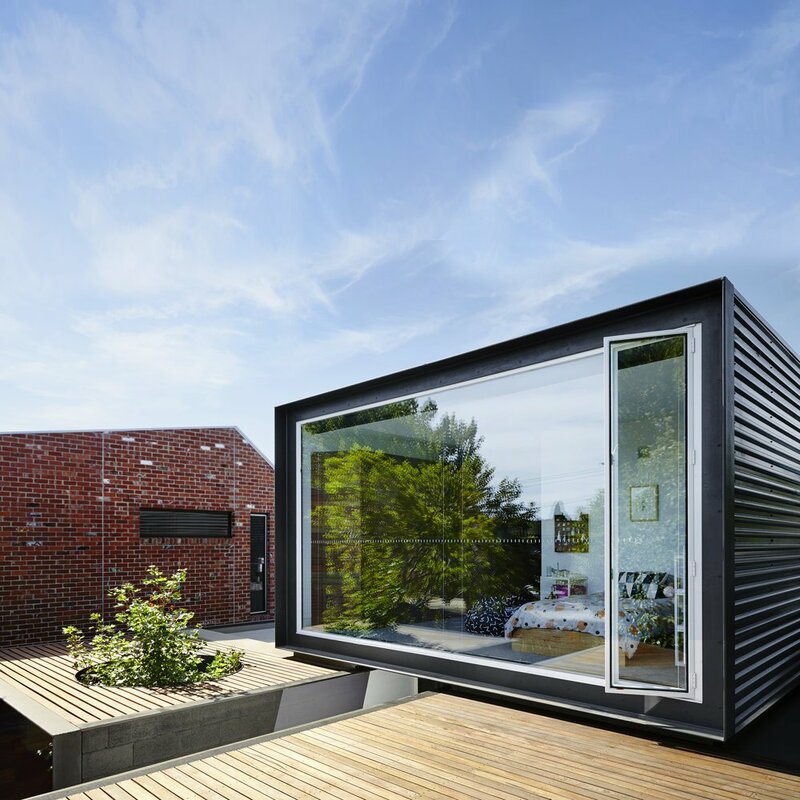 Lots of glass, for light, performed steel, for transparency and steel cladding, to enhance the form. Very important. We encourage our clients to be the authors of their spaces. We ask for open participation and encourage them to draw, research, question and engage. It’s through this collaboration and understanding of the clients’ wants and needs that the richness of our work emerges. Like so many of our clients, the owners of THAT House were wonderful. They were keen to open up to the community rather than permanently hide away or fortify themselves. 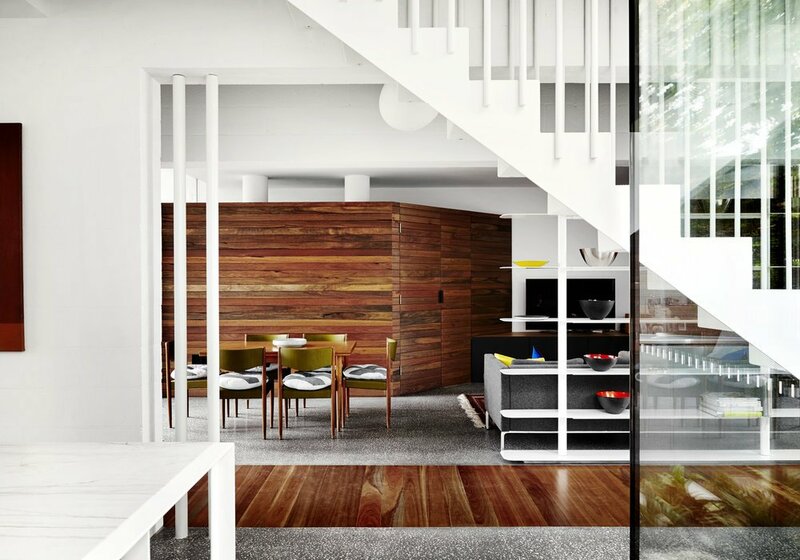 As Australian homes and culture become increasingly inward-looking and protective, it was great to work together with the owners and go against the trend. Australia is blessed with a mild climate which encourages the outside living style. How important is to connect the interior with exterior areas in a house and what are its advantages? 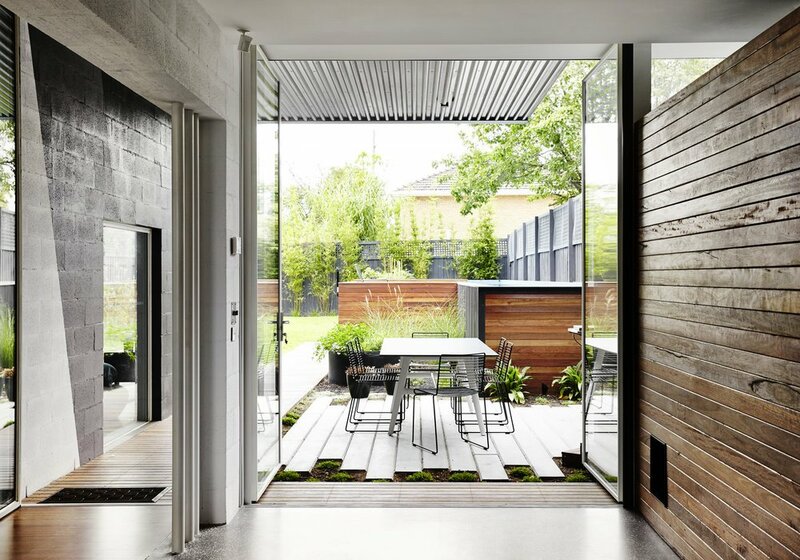 At Austin Maynard Architects we love blurring the lines between the indoors and outdoors. 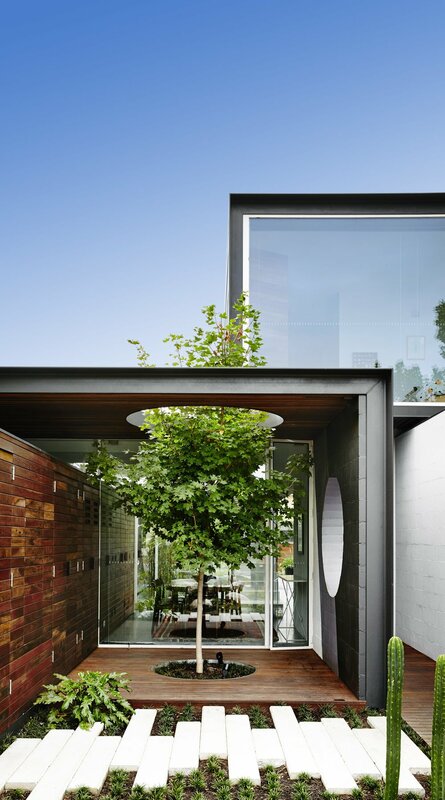 At THAT House we planted a Maple tree within an internal courtyard at the front, giving the look and feel that it could be indoors. In all our projects we seek to create a direct connection to the outdoor spaces as this adds greenery, life and a sense of space. Last but nit least, what would you advice to someone who’s thinking about building a home? What are the most important aspects (budget aside) to consider, before even looking for the right architect? Think of what you want, not what other people might want, in terms of resale. Question the way you live and the spaces you need.